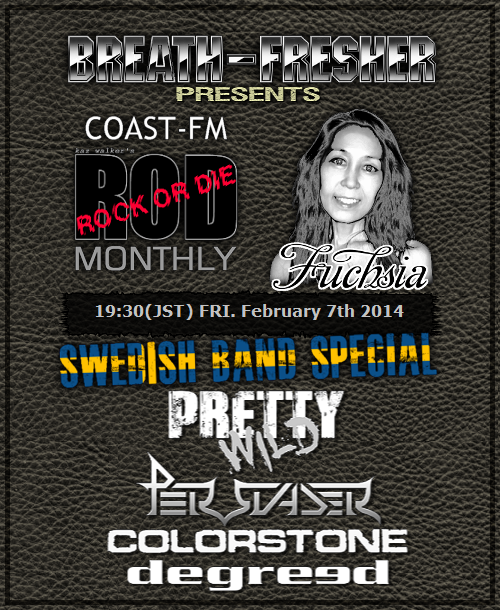 ROCK OR DIE Monthly #44 is 'Swedish Band Special' and is aired at 7:30 pm (GMT+9) on Friday, February 7th 2014. 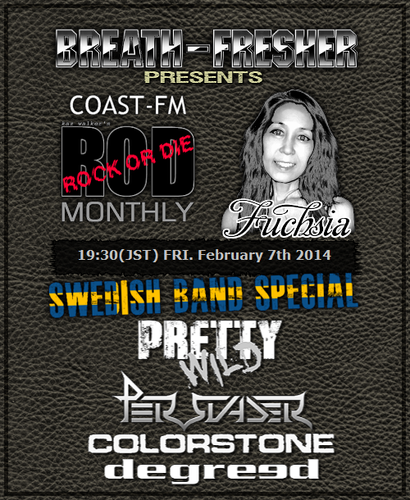 Following 4 bands will be featured on the show. After it was aired in Japan, it can be heard on podcast on our site. DEGREED - Album "We Don't Belong"
PERSUADER - Album "The Friction Maze"
PRETTY WILD - Album "Pretty Wild"